This is going to be an entirely positive post, so hopefully I won’t be offending any more people! Well, unless they are particularly interested in the well-being of crustaceans. I don’t really think I can write a blog post about New York, since so many people have been there so much more often than me and hence my experience of three days will probably be obvious and naive. Summary: New York is BIG. America is pretty big in general, but no other place I’ve ever been to has so many big things together in such little space. I think I spent my first two days looking up and being amazed at how tall the buildings were. I certainly overused “wow”. I didn’t really think New York was particularly cheap when it comes to food, but maybe that’s because I was comparing it to Cambridge rather than London. The only meal that I really felt was a bargain was this one, where we stuffed our faces in dim sum and then paid $12 each, tip included. 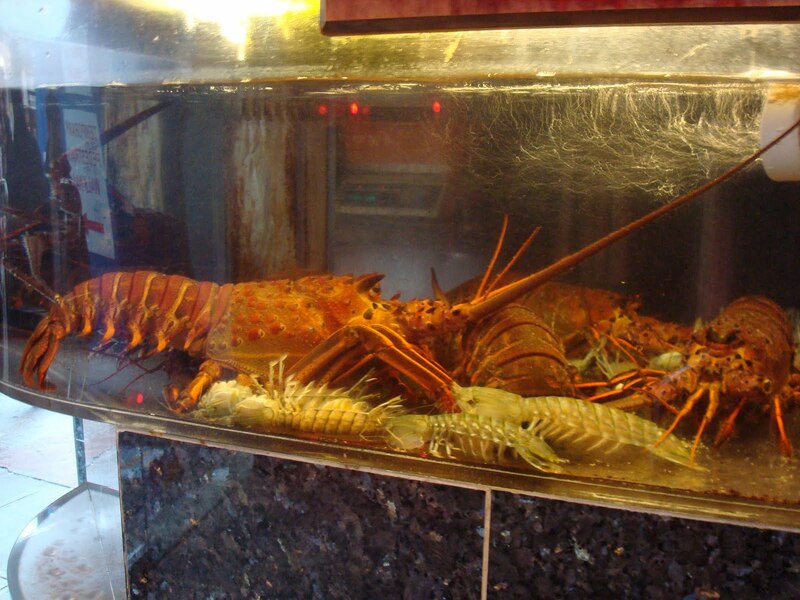 China town is an experience, with all the crazy shops and the alive or dead animal displays that you come across. Certainly not a vegetarian’s dream. This place was recommended to us by a friend, which filled me with some confidence but I was still terrified when we walked in and were attacked by a trolley of food with someone shouting “Pork!” “Prawn!” over us. 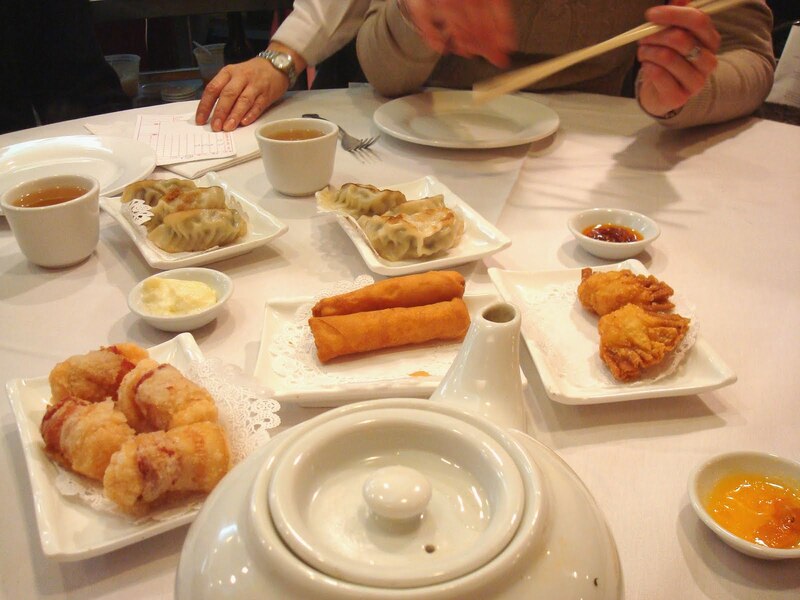 Yep, that was my first time in a dim sum restaurant. I can’t remember every single thing we ordered but some of them were so nice that got re-ordered, like the pan-fried pork dumplings (top left). 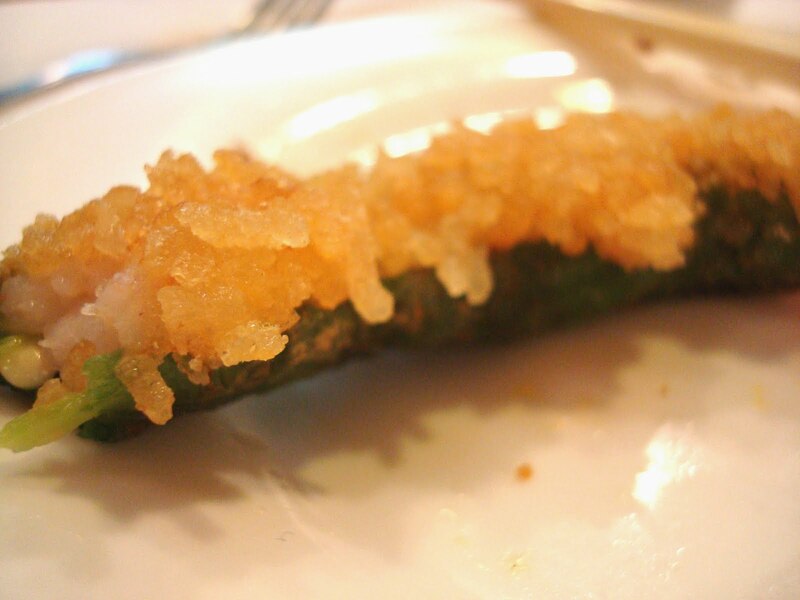 This deep fried prawn inside half a green chilli pepper was really tasty, if somewhat hot. Actually, too hot for me. After the first bite, I decided (while crying) that it is wiser to remove the chilli. It was still a little bit hot without it, which was nice. 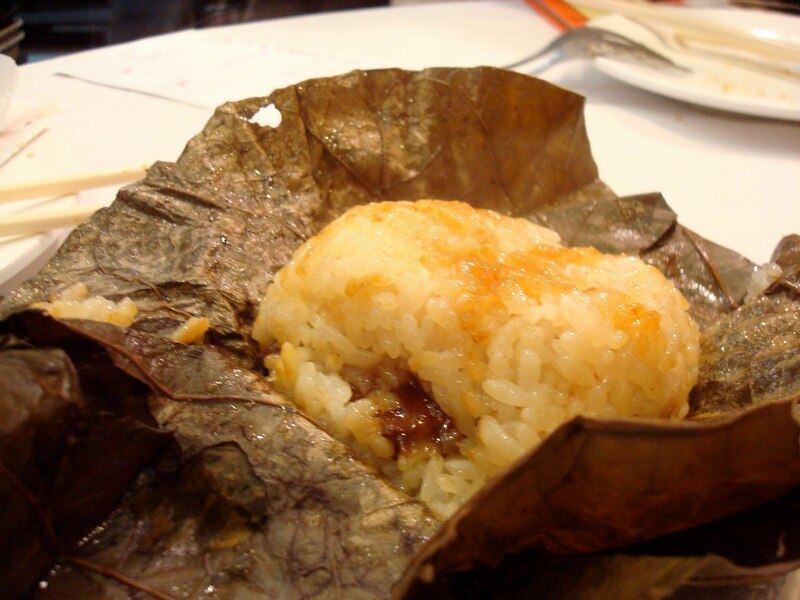 I was a big fan of the sticky rice wrapped in the lotus leaves. It had a sweet sausage filling and it was delicious. Others declared it “too sticky”. I happily finished it off. 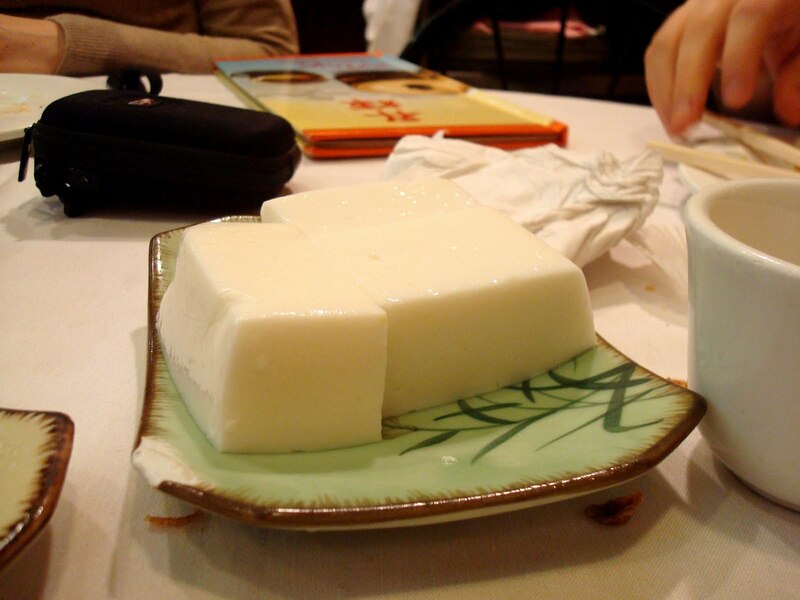 And when I ordered the coconut jelly for dessert, everyone looked terrified. I persuaded them to try it and, after some reluctancy, the whole thing was gone in seconds. Thinking about it, maybe I should have kept it for myself. In conclusion, brilliant. It’s just crazy that you can get so much nice food for so little money. How do they do it? Actually, I probably don’t want to know. But I need to find a dim sum restaurant close to me.